Sweetened only with pear juice concentrate, this is a great option for anyone looking to actively reduce their refined sugar intake, without compromising on taste. In fact, once you start eating our spreadable fruit (99% fruit), you may find it hard to go back to regular jam! We&apos;re big jam fans in this house and my fridge has a shelf dedicated to an array of Barkers jams. We are big fans of Barkers and I love the flavours so I was excited to try this new Jam which has no refined sugar. I quickly realised looking at the jar that its not called a jam but "spreadable fruit". I loved the idea of wild berry so was exited to try this flavour especially with the no sugar claim. Upon looking more closely at the ingredients I realised that the sweetness comes from pear juice concentrate. Although this makes the flavour quite peary to be honest the fact that this has no sugar in it makes that a small thing. The texture of this spreadable fruit is perfect to use as a topping for a cheesecake, a filling for muffins, a compote or swirl through yogurt or cream. I think the uses for this spreadable fruit are more than a normal jam. My girls and I love the texture and the taste of this. We haven&apos;t wasted anytime eating this and the jar was used up very quickly. It is my new favourite on bagels with cream cheese and the go to for the girls on toast. This will definitely become a staple item in my fridge and I can&apos;t see myself buying jams now. This is such an easy way to reduce sugar in our household I can see no reason not to take it! I can definitely recommend this spreadable fruit whether or not you want no sugar option this is jus so tasty and versatile. Jjam is something that used to be a staple in our household, it is something that I would enjoy every now and again but something which my partner and Miss 4 would happily eat on everything and every day if they had the opportunity to do so! Over the past few months we have trying to cut back on the amount of sugar which we consume in our household, and jam was one of the things which I decided had to go as it is usually packed full of a heap of sugar, hence why the sweet tooth&apos;s in my house love it. 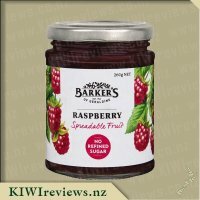 So when I saw Barker&apos;s had released another new product &apos;Spreadable Fruit&apos; I knew this had to be worth trying as I was sure it would be just as amazing as the rest of their range of products, and doubly as a replacement for jam in our house, it is definitely something I was glad to have had the opportunity to try. The sound of the Wild berry flavour really appealed to me as I absolutely love berries and always look forward to the summer months when fresh berries are available in mass production. When it comes to jam in our household we always tend to go for the berry varieties so I knew this was the one for us. Reading the label I found that this spreadable fruit contains a wide mixture of various fruits and berries - pear, blackberries, boysenberries, blackcurrants, strawberries and lemons a great combination indeed. My partner was happy to see such a product from reviews as he has recently fallen in love with the Barkers Blackcurrant Fruit Syrup, which funnily enough is what we both agreed that the taste of the spreadable fruit reminded of us as it seemed that the blackcurrants were the most predominant flavour here. This product contains no refined sugar which is great for those who like us are trying to eat healthier, best of all this didn&apos;t affect the taste at all as it was sweet enough as is and enjoyed by our household. Although most of the jar was used up on toast and crackers, Miss 5 and I did decide to branch out and use some to create some jam drop cookies which I can report worked perfectly, though I must admit I was a bit hesitant at first about using this product in such a way due to its runnier than jam consistency however once cooked in the oven there were no problems. The spread tasted beautifully with the crunchy biscuit surrounding. 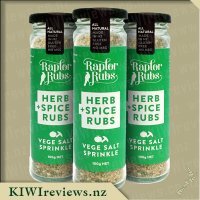 There is doubting that this is another great product from Barkers yet again and one which we have (and will) continue to purchase again in the future it&apos;s a good feeling knowing you can eat something so tasty with the knowledge of it being good for you. 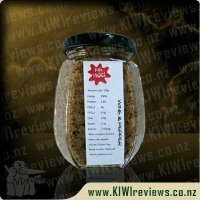 The jar is a bit smaller than that of your average jam but a little goes a long way and it is well worth trying. Kiwi Review box arriving time is always a great day in our house, and this time was no exception. 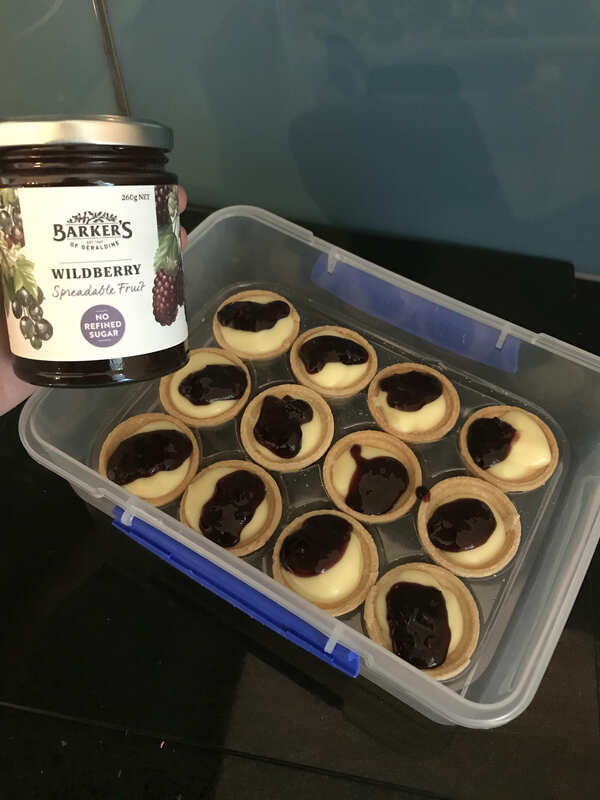 We were lucky enough to receive two flavours of spreadable fruit by Barkers, and knowing what I know and have experienced with other Barkers products I was interested to see exactly with "spreadable fruit" what the difference was to jam. I started off reading the label and noted it has no refined sugar - that is HUGE in jam/conserve/spreadable fruit making, and is the main worry for both myself and my jam loving Miss 6, who would have it multiple times a day if I allowed her. 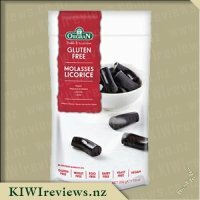 I noticed as well that it is gluten free - and for myself this is great as although I am not allergic, gluten and me do not mix to well. The name description of "spreadable fruit" immediately made me wonder if it would be good in yoghurt and on icecream..... hmmmm.... versatility thoughts right there!! Continuing to read the label I saw a few things on the ingredients list that I expected in a wildberry mix - blackberries, blackcurrants, boysenberries and strawberries - but also lemon and sweetened with pear juice concentrate. Time to move on to the tasting it, and at this point I opted to try it in a traditional way - on toast, with a cup of coffee! Opening the jar, I discovered it was more liquidy than jam, but had a lovely aroma. I opted to use a spoon to get it out of the jar, as I honestly think it would have slid right off the knife, and with my luck, straight onto my foot! Spreading it out, literally had my mouth watering - it was a beautiful deep colour, and not thick and goopy - so looked great. The taste well and truly met expectations for Barkers products - flavoursome, good quality, honest and well made items. Next I got my jam loving daughter to try it - which is not as easy as it sounds as she is a "red jam only" girl - but with coaxing, she tried it and instantly had a smile on her face. She is a pretty tough customer and would not have eaten the whole piece of toast, and asked for more with the same topping if she did not approve!! Last was a try with yoghurt - and it was great - like a fruit mix, adding flavour and colour without the extra sugar! I have a few other things I want to try this with - I think the ideas are endless - and we absolultely will be trying other flavours when we buy this in the future! I have to confess that before I had children, I was completely indifferent to the amount of sugar in my diet. I would eat through whatever I wanted, justifying it by knowing that I did a reasonable amount of exercise. However, when I was introducing my daughter to solids, I started paying more attention to what was actually in different foods. In particular, I always struggle for spreads for toast (which, lets face it, is every child&apos;s favourite food) which my daughter wants to eat, but which aren&apos;t full of sugar. 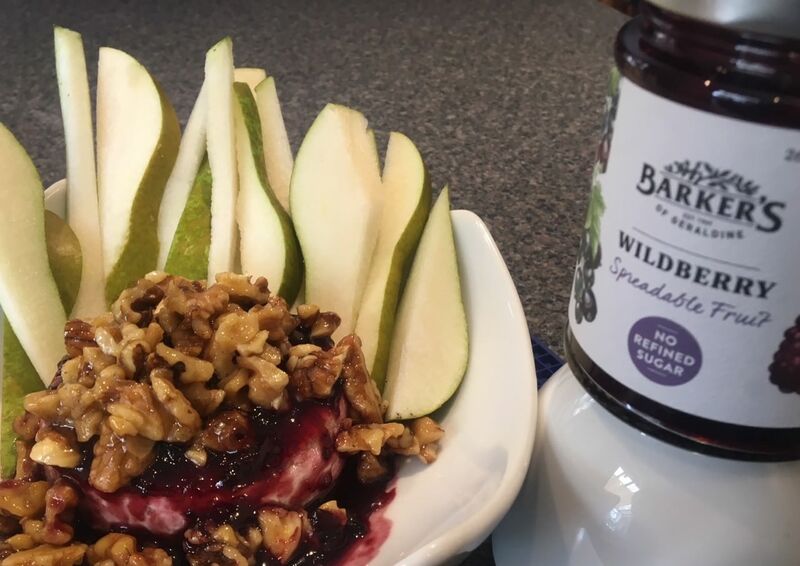 Because of this, I was really excited to try Barker&apos;s Wildberry Spreadable Fruit, as a refined sugar free alternative to a traditional jam. When I got the jar I was so excited- it looked like the usual high-quality Barker&apos;s product, in a fantastic glass jar. I was really excited to see the &apos;no refined sugar&apos; label displayed proudly on the front of the jar. On closer inspection, I loved that the ingredianets list was so short- with 99% of the product being fruit. I was also intrigued about the fact that it didn&apos;t contain the usual refined sugar which makes a jam, and hence the description of &apos;spreadable fruit&apos;- was it going to be like a jam, or closer to a compote? Either way I was excited to try some. When I opened the jar I was pleasantly surprised that the spreadable fruit was between a jam and a compote- so easily spreadable on toast, but also thin enough to add to tarts or cakes without having to thin down. This texture is so useful, and certainly easy to use. The taste, unsurprisingly, is not as sweet as a traditional jam, however has a beautiful rich berry flavour. If you have ever tried Barker&apos;s Berrylife cordial (and if you haven&apos;t, you really should), then it is like a thicker and slightly more intelnse version of this. I loved that the natural sweetness and fruitiness of the berries really came through, as this is normally really disguised by the sugar in a jam. It felt more indulgent than a normal jam as it was so rich with berries. My whole family have loved eating this spreadable fruit. My daughter prefers it over other jams that we have, and even my hubby, a sugar fiend, loves the natural betty flavours of this jam. We have also found it incredibly useful to add to desserts such as cakes or sponge puddings, where the reduction in refined sugar stops the usual cloying sweetness. Overall, Barker&apos;s have worked their magic once again. A spreadable fruit which is intense, fruity and naturally sweet, and suitable for a wide range of purposes. A fantastic option for the whole family every day, and a truly delicious treat as well. I can&apos;t wait to see what Barker&apos;s do next! Barkers is a well and truly tried, tested and loved brand in our household and we will always purchase this brand over others based on the quality they have proven themselves of. 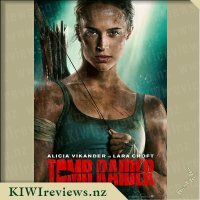 I was most interested in this new product for several reasons; The first quite simply was because it was a Barkers product and I wanted to see how the quality stood up. 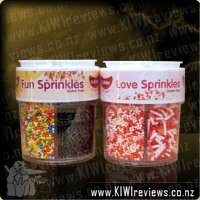 The second was because it seemed like a great product that could be used in baking with my kids. Lastly the third reason was in the hope that my daughter (aged 4) would enjoy this product on her toast or sammies instead of jam as there is there is a lot less sugar in this product. I have to say now that all three reasons happened; were proved right and I am very happy with this product and we will indeed be buying it again. The only doubt I have is whether we will be brave enough to try the other different flavours in this range or not! 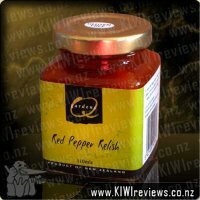 For me the price of this product is about right - I have paid the same amount for jam before and so liken it to that. There is, of course, much cheaper products available on the market, but I can tell you now that it wouldn&apos;t be the same great quality that this product is! You can truly see the fruit in this product and the taste tells the true story of this fact. The pear juice and lemon juice concentrates are lost on my taste buds and only merge with the mix of berries to create the overall very berry delicious taste that this product is. A fact, I assume was the intention of the product and so is written in a positive way. Personally, I would probably be a bit concerned if I could taste lemon or pear in a product named mixed berry but the fact its contributed to the overall taste and avoided any sugars being added is quite simply wonderful. We have used this product for a number of different uses and already I can see how versatile its going to be meaning it has even more value for money in our household. The kids (aged 2 and 4) have both enjoyed this on toast and bread; making me feel a bit better as a mum that I&apos;m not loading them up with sugar filled spreads! This is quite a big deal for my 2year old as he&apos;s previously never eaten jam but will happily eat this fruit spread so its a definite very big win! We have used it in baking; adding it along with frozen blueberries to our muffin mix. I was surprised how much extra flavour this added to the muffins and this is definitely something I will be doing again. 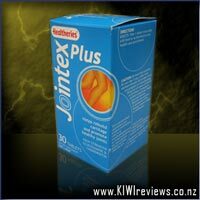 I also added this to the top of custard filled tarts which created a lovely treat for morning tea at work. All ten people who tried them loved them and wanted to know about the product. The fact that this spread isn&apos;t as sweet as a jam or compote really added to this creation as it wasn&apos;t overpowering sweetness. Jams have always been known to be full of fruit, so this product with no refined sugar seems like a good start on the way to a healthier lifestyle. Comparing to other jams and spreads, it is a much thinner mixture. This is good because it means you can spread it over your bread (or bread substitute) very easily and very thinly, which counteracts the strong of the flavour. Berries themselves are rather tart and strong flavoured, and it seems that the refined sugar may actually act as a buffer in other jams and compotes. Using a pear concentrate instead adds to the sweetness, and creates a very strong flavour. This obviously means you will get many more uses out of each jar. 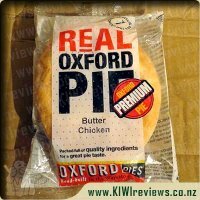 It does lose a bit of that thin characteristic once it is stored in the fridge, but it is still significantly less viscous than other similar products. Wildberry is a much richer flavour compared to the raspberry, which is much more tart. 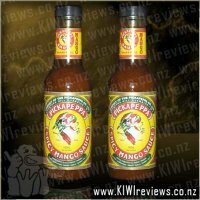 The strength of flavour does mean I would actually be less likely to use it as a spread for my toast, but instead as a sauce for any chicken dishes, salads, or wraps. A product that has flavoured itself out of the table spreads game. I have always enjoyed barkers products. 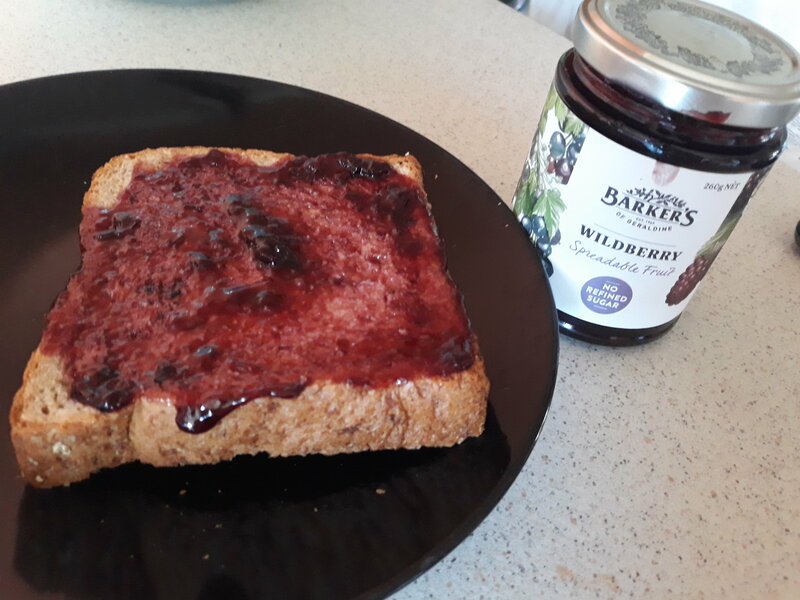 When I saw that I could give this wildberry jam a go I jumped at the chance as I&apos;m not really a fan of jam but my daughter LOVES jam, of course when I opened it it smelt pretty good, like berries (funny that right). I thought it looked a little runny when tilting it, it wasnt set like other jams. I got a spoon out so I could keep it gluten free for my daughter, as I put the spoon into it, it slipped in right away, if I let go it would of sunk to the bottom as there was nothing holding it there, not always an issue. When putting it onto my toast it was very runny, now I thought this was because it was warm and I just took it from the bench and used it. As I at it there was a strong wildberry taste and very tart, there was not sweetness to it, which made it not sicking. I found this pretty enjoyable. I decided to pop it into the fridge and use it again tomorrow to see if it thicken up. The next day I gave it another go on my toast and again it was runny, putting it into the fridge didn&apos;t thicken it, the taste was pretty much the same but I feel the coldness took some of the tartness away as it didn&apos;t feel the same. My daughter had a taste and didn&apos;t like it (more for me I guess) she said it tasted to sour, which makes me feel better that I used a gluten knife in it the next day. Overall, the jam is tart which means you don&apos;t put as much on to get a taste, it doesnt taste like sugar which is a great thing as I don&apos;t actually like jam. Its runny so when using a knife you don&apos;t get much on this can be a bad thing or a good thing depending on how much jam you like on your toast or bread, use a spoon otherwise. This jam would work perfect in biscuits or put into a cream for a cake. Depending how long this last me the price will be reasonable, so far I think it will last a bit since its only me using it and its runny so can&apos;t get a lot on the knife. Good work barkers for making something that isnt full of sugar and taste so sweet. Since having children I tend to pay more attention to what my children and I eat, especially things we eat on a daily basis. My children go to a school with a nut ban so we had to adapt what spread they would usually have on their sandwiches. 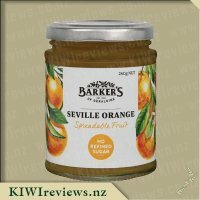 When I saw that KIWIreviews had some of the new products from Barker&apos;s of Geraldine, which was a new range of Spreadable Fruits, I thought they sounded ideal and the fact they are made in New Zealand was an added bonus. After being lucky enough to receive a jar of Wildberry Spreadable Fruit, I decided to make some sandwiches for my children to see if they liked the taste or not. I grabbed some wholegrain bread and spread a decent amount on each piece. The colour was a gorgeous dark red/burgundy colour and was a nice spreadable consistency. This product smells incredibly fruity and I instantly recognised the scent of blackcurrants. I decided to make a sandwich for myself too as the smell had my mouth watering. After taking my first bite I took time to enjoy the flavour, it wasn&apos;t sweet but wasn&apos;t overly tart either which was nice but next time I won&apos;t spread it so thickly. I think that the combination of fruits including blackberries, boysenberries, blackcurrants and strawberries works well together, and no particular flavour was overpowering. When I asked the children what they thought they said the flavour was too strong and they weren&apos;t fans of the lumpy bits of fruit. I personally quite enjoyed tasting this product and would happily purchase for myself in the future. I intend to use some of the remaining product to sandwich some homemade Shrewsbury biscuits together, I can guarantee the children will eat them with no complaint. I&apos;ve gotten the seedless bramble berries spread from this range before and I am so loving that flavour, I get it all the time and have to manage my self control so I don&apos;t just eat the whole jar. With different ingredients to my favourite, I was keen to try this though I was dubious about the seeds as that&apos;s something that I never really like in my foods or drinks. This one has blackberries, blueberries, strawberries and blackcurrants and 99% of this is fruit with no added sugar which is a big plus, especially as my kids like to mix a spoonful of jam with their morning yogurt. I gave them this to try in their yogurt and my two youngest enjoyed the flavour but my eldest didn&apos;t. I then tried some straight from the jar and found that while it had a nice flavour it tasted almost identical to my preferred BUT with lemon... I couldn&apos;t taste the strawberries or blackcurrants which was really dissapointing. My girls both loved it straight, they&apos;re big lemon fans, however my son and I didn&apos;t like the taste as much, which my daughter was happy with as to her that meant &apos;more for me!&apos;. I didn&apos;t enjoy it as much as I hoped, the lemon was a little too strong in taste and I just didn&apos;t like the seeds however with two out of the four of liking this, I&apos;m happy to get it again for my girls and let them have at it, after all, all fruit and no added sugar makes mumma a happy mum. I was intrigued by the name! This time I read the label before tasting the contents. (Usually it is the other way round.) Was this going to be a new fruit, possibly a hybrid of different berries? Or was it to be a berry mixture? It became apparent that the ingredients included pears, blackberries, boysenberries, blackcurrants, strawberries, and lemons, so it was a real fruit salad of flavours. I then tasted it, and found that the overall flavour was quite delicate and very pleasant. Despite containing only fruit and other natural ingredients with no added sugar, the jar has a shelf life of 12 months (although the contents do need to be refrigerated once they are opened). Because the main sweetening component is pear juice, and we had a tree full of ripe pears ready to hand, we decided to serve it with sliced pears and some soft cheese. We had a recipe for a melted brie and fruit compote dip, so we adapted it to suit the wildberry fruit mix. We started by warming the whole brie in the oven for ten minutes, then added a generous amount of wildberry on the top before returning it to the oven for the fruit to warm through. We had melted a little manuka honey in a separate dish and added some chopped walnuts, and these were poured on top when the cheese and wildberry dish emerged from the oven. We placed pear fingers around the edge of the plate to dip into the cheese mixture. The first time we made it, we did not heat the cheese quite long enough, and I thought we needed more jam to add a fuller flavour. But the second time around it was just perfect. The cheese needs to be completely melted in the middle, otherwise you end up having to attack it with a knife! This second attempt was streets better than the first and was popular with everyone who tried it. Although it would make a good party dish it does tend to be a bit messy so next time I make it I won&apos;t have so many people to share it. The berry flavour came through better the second time too as we substituted clover honey for manuka, which had overwhelmed the berries to some extent. This variety has a much gentler flavour than Barker&apos;s other preserves, and it is important to be able to taste it. We tried it drizzled on to a pavlova and also as a decoration around the edge of a plate. Both were greatly admired, not only for the taste, but also for the lovely rich red colour. We have lots of other plans for this product. It would be delicious added to ambrosia, and also as an ingredient of home-made muesli or a smoothie. Given time, I am sure I will think of lots more ways to use it. I&apos;m a big lover of toast and Jam for breakfast but as I&apos;m munching down on my toast I&apos;m always thinking about how much sugary goodness I am eating. When I saw the Barkers spreadable fruit jam I jumped at the chance to try it out. I&apos;m a big fan of the Barkers brand and have tried many sauces and chutneys in the past which were always good so knew this would be also. I also liked the fact that it stated it had no refined sugar in it so I decided to compare the sugars on the nutrition information on my normal branded jam which has 60.5g per 100g whereas the Barkers only has 28.2g per 100g that&apos;s amazing and it&apos;s also gluten free which would suit a lot of people. The jar is about half the quantity compared to my standard jar and slightly more expensive but when I consider how much less sugar I&apos;m digesting I&apos;m quite keen to change to Barkers. The consistency is slightly runny and does actually taste quite sweet considering how much less sugar is used. 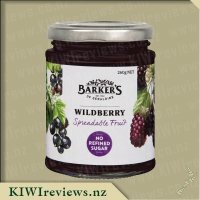 I like the taste of this Wildberry flavour and with the traditional Barkers packaging, I am very keen to start buying Barkers from now on. I think everyone should give this a go. San Remo Gluten Free pasta is delicious pasta with an "al dente" taste and texture you only find in good pasta. 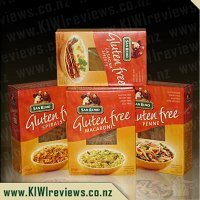 San Remo Gluten Free pasta is free of gluten, dairy products and yeast. It is ideal for anyone following a gluten-free lifestyle.